There was a time when you’d gather around the campfire and everyone had a ghost story to tell. Now, thanks in large part to the reality-TV paranormal genre, it seems everyone has a story with accompanying video. When Ghost Hunters premiered on the Syfy network in 2004 it popularized the notion anyone could pick up a video camera and possibly find evidence of the paranormal - and so they did. Along with the dozen other similar programs that dominate cable, seemingly thousands of amateur ghost busters and monster hunters launched Web sites and YouTube channels to show off their proof of the supernatural. And it would seem just as many set out to spoof or goof those serious-minded investigators with hoaxes. That’s where former FBI agent Ben Hansen and his team (above and right) on Syfy’s new show Fact or Faked: Paranormal Files comes in. Premiering tonight at 10 p.m. EST, the show is a paranormal MythBusters; as opposed to other programs in the genre that looks into claims, this one switches it up slightly and essentially investigates the investigators. Instead of seeking their own evidence or taking on clients, per se, Hansen’s crew of supposedly three years – which includes scientist Bill Murphy and journalist/Destination Truth alum Jael De Pardo along with an effects specialist, photography expert and stunt expert – explores video submissions and famous paranormal footage to determine which can be validated or debunked through experimentation. For instance, in the first episode, the team tears through a few appetizer videos before selecting on two to investigate: The viral “ghost car” video from Georgia that shows a motorist evading police at “supernatural speeds” before phasing through a solid fence, and a collection of extraterrestrial lights over Phoenix, Az. The team travels to the spots where the events happened to interview eyewitnesses and recreate the video events. Q: When did you know that you wanted to investigate ... was it when you were with the FBI or earlier in your life? Ben Hansen: Okay, well I actually was about 10 years-old, my father got me kind of interested in this. We used to watch sci fi movies, we used to watch like The Thing and The Fly and those types of things late at night. And he got me interested in UFOs, he started bringing me books to read on it. I wasn’t really aware at the time but he had a connection with his father, my grandfather. He worked actually at Wright Patterson Air Force Base, I don’t know if you know about that base, it’s where supposedly some of the wreckage from Roswell was sent. Well my grandfather worked there as a civil engineer and throughout the years of talking with him he always kept his oath of secrecy that he made with the projects he was working on. But in so many words he let my father know that we’re not alone. So this kind of piqued an interest in my father and in turn he and I kind of bonded on this level where we became just tremendously interested in mostly UFOs. I remember seeing E.T. when I was younger and really becoming interested in the possibility of life on other planets. So to kind of go back, no, I was not, per se, investigating the subject in any professional or official sense when I was working with the Bureau or with any other agency. But I always kept it as kind of a hobby until I developed a group and we kind of got into the ghost hunting and other aspects of it. Bill Murphy: I’m just going to comment quickly about what really attracted me to the show. First off I should state that Ben and I had been operating in the same circles for years ... and so when Ben and I met we developed a very quick rapport and we realized we’re on the same page but maybe taking it from different angles. Ben’s formal experience has been in law enforcement. Myself, I’ve been involved in the paranormal for a couple of decades, it kind of goes way back with my family. And with my family and growing up as a child with it was very skeptical. It was almost like I’m listening to the older folks talk about the tales and just about sort of skipped through it without necessarily putting a whole lot of weight into it. Until I got old enough to see that these things were kind of going on around us but I wasn’t satisfied with just hearing the tales nor was I satisfied with what I thought my own perceptions were. I thought I needed to be able to validate these experiences through technology. And so I set about to begin the documentation process. So when Ben and I met and we spoke it was just like instant connection. And so I felt that this opportunity for me was a really good fit because I had been the skeptical believer, if you will. ... And sometimes that isn’t a popular position to take when you’re entrenched in the paranormal community. The community looks for gratification from evidence but is it the evidence of the paranormal? Is it misidentification? Is there an explanation that science more readily accepts? Well this show takes a look at all those things and all those possibilities and we come up with the best possible answer. Q: What is the most convincing evidence that you’ve picked up off the show that viewers will not see. Also, have you had a moment where you or any of your team, has encountered something that really couldn’t be proven through evidence but you just had to believe it; you just bought into it even though you couldn’t support it? Ben Hansen: That’s a good question. Two questions. Bill do you have something off the bat, I’ve got a few. John Brenkus: Let me actually just jump in first ... I think that one of the first things is in the debut show you’ll see that we investigate some mysterious lights in Arizona and we genuinely - I was there on the shoot - we were all there on the shoot and genuinely we caught something that we simply can’t explain. We all witnessed it and we were extraordinarily fortunate to capture it on tape and you know it’s one of those things that we caught that we can’t say for absolutely certain that it is something paranormal but it’s certainly something that’s unexplainable as of today. I’m really excited to share it with the audience, that was definitely one of the highlights of the series so far. Ben Hansen: And that’s really big for John to say that. John is actually one of the biggest skeptics ever. I could bring him a UFO on his lawn and he’d say it was fake. Bill Murphy: You know, I have to agree with John. John, that was an amazing moment to have happen and it was ... to be there while it occurred, it’s one of things where you know can you believe your own eyes? Because seeing is supposed to be believing and in that case we had to believe our eyes. But what I’ve learned since then ... is that sometimes seeing is not believing. Sometimes you can’t believe what you’re seeing and there’s an alternate explanation but in the case of what happened in Arizona, that was a truly phenomenal occurrence to have happen. And I’m glad it did, to that point it was early in the morning, we were all damp and cold and I think nobody was aware of the environment once our eyes were on the sky and we saw what we saw. It was quite a sight for us. Ben Hansen: Talk about something that maybe that you’ve seen not on the show, something the best evidence of something you’ve experienced that wasn’t on the show. Bill Murphy: Yeah, that was one of the questions. Well something that has happened - and again, I think everybody here on the show is focused on looking for an explanation that you can personally accept easier as opposed to moving it into the category of being paranormal. But with that being said, I went to a location in Colorado where there were reports of some sort of - it wasn’t necessarily TK (telekinesis) what was happening there, it was people were being - reporting being touched and shoved by an unseen force. And I found that to be interesting because I kept hearing thing from a lot of people. So when I was there, I was going through the location and yeah, it’s a beautiful historic place. Although I was enjoying the architecture, I walked through this area of the hall and it was like I had dozens of vibrating cell phones in every pocket. It felt like all the sudden everything vibrated on my body. And I stopped, I was like, "Hey, what was that?" And I backed up, took a couple steps back and I felt it a second time but wasn’t as strong as the first time. And I had to sort of just not laugh but I shook my head in disbelief in going these reports have a validity. There is something here but what is it? As it turned out, there could be an explanation for what people described as being touched by an unseen force and it has its roots in hard science. It has its roots in the geology of a location and sometimes there are enough characteristics of a locale that when they come together they can cause a phenomena that can be perceived as being paranormal. If you took an interdisciplinary approach to it and combined sciences, then you can come up with a rational explanation that can be considered paranormal because it’s hard to duplicate that and that is one of the requirements for something to move from theory to fact. Can you replicate it? Can you replicate this effect? Paranormal phenomena isn’t always repeatable even in a lab and that’s what makes it confounding. Because you can’t deny the existence of these events but they don’t adhere to the protocols that are in place for something to move out of the theory range. But you have to look at people trend setting of this thing to happen. If something happens over and over and over, you know there’s a certain credibility that comes from the accumulation of witnesses. And if you can sort of demonstrate how it can happen scientifically then voila, we’ve done our job from a science perspective. For me, having the experience of an unseen force seeming to press against you, was quite astounding but it wasn’t what we thought it was. You weren’t being touched by an external force, it was a shape change to the skeleton and to the skull as a result of piezoelectric activities of the minerals in the location. So you feel your skin moving but it’s happening under the skin as opposed to on top of the skin. Q: That still leaves the question of something that you just really had to believe even though you couldn’t back it up with any evidence or any science. Ben Hansen: Let me give you an example of something well my two examples. The first one was when I was recently out of college, this is actually the very first time I tried doing an EVP session. I had seen there’s a local ghost hunter group that would play their clips on the radio and things, and you kind of take it with a grain of salt, just as everyone else who listens to these things. And you may even somewhat believe, but you just put it in the back of your minds because you get up and go to work the next day ... it doesn’t really change the impact of your life until you actually hear one of these things yourself. I was in a memorial - a war memorial park with my sisters and a couple of friends - and we were kind of doing the Halloween thing and going there and doing some recordings. And we’re standing next to this war memorial and I’ve got two recorders going and I was telling my friend I really wish I could have brought them there before they had cleared out a lot of the trees because it looked a lot more spooky and I could have showed them something that would really scare them. Well nothing really happened during the whole investigation until I got home and played the set. And this was one of the old analog recorders and I played it back and I didn’t even need to slow it down the first time; very clearly I heard the voice of either a small child or a woman. It sounded like it was whispering right against the microphone which really creeped me out because you’re thinking if this is like a person they would have to have been right at my hip. That’s where the recorder was and it says, “Get brother.” I knew where the females were in the group and my sister was about 15 feet away; we went through every elimination, it couldn’t have been this person, couldn’t have been that person. It gave us the chills. I played it back for my family over and over and I had to face the realization that quite possibly I had captured something that was not a living person ... there are many theories on to what EVPs are, but the phenomena is real in the same sense I’ve witnessed objects in the sky that - I myself am a licensed pilot, I love going to air shows and things - I’ve seen aircraft that have done things that conventional crafts do not do. And beyond that, I can’t say what it is but the phenomena is real. So I think I forgot the original question! Q: Just what would make you a believer even though you couldn’t back it up with evidence. Ben Hansen: Not just in a paranormal sense, but there’s a lot of things like Bill was starting to say. You know there’s this dichotomy of seeing and believing. Can we believe everything that we see, and if we don’t see something does that mean we shouldn’t believe in it? So I think a lot of people, especially the viewing audience may never have had an experience of their own but there’s a lot of people who believe. And kind of, by proxy or vicariously, you’re able to see through the eyes of what these people are seeing and that’s the great thing about our show. Many people would not be able to go out to the places we’ve been to. And by bringing them our experience through our eyes I think there is a way that you can believe without actually seeing yourself. Q: So it’s the absence of evidence is not the evidence of absence scenario then. Ben Hansen: Correct. I think all discoveries, major discoveries started out with a phenomena that they couldn’t quite explain. Look at electricity and how it was discovered, well you saw the effects of it but did you actually see electricity - what it was doing? And so people started setting up controlled experiments to find out well how can we test that. And I think that’s where we’re at in the paranormal field a lot of times. We believe it because we know something has happened, has affected one of our senses. Whether we’re able to capture it on film or audio or some other way to demonstrate it to somebody else may be another question. Q: So what’s the challenge with the tools you have in the field to spot something that could be faked? Bill Murphy: Okay, well one of the criteria that we have ... is a strong eyewitness. And so if there are multiple witnesses ... that makes for a really strong case because you’re talking about something that is not just a piece of video ... where they shot it but something that physically is there that other witnesses have come forth and said they’ve seen. And there could be 911 calls or news reports or whatever it takes, reporting an object or a sighting or some sort of event that’s happened. Those are strong cases, so the video is bolstered by multiple eyewitnesses or if there are limited eyewitnesses then there’s a credibility you have to look at. What are the motivations for this video being posted? And if we get there we really don’t pull any punches to try to replicate the video. So the challenges are something that I don’t think we’ve had stop us. Generally we try to stop at nothing once we’re there to demystify the video. I mean we stop at nothing. Really extreme stuff and it’s a lot of fun. Ben Hansen: When we do come up against those cases that are very difficult, either they’re done very well in CG, we’re just not sure, that’s where I like to use my experience and focus on the poster or the witness who shot this video or provided this photo. For me, it’s a lot easier sometimes to find the signs of deception through the person themselves, and with my experience, I’ve conducted thousands of forensic interviews. On the show, it’s no exception. I like to isolate the witness and use the neutral questions and everything that I would do in a real criminal investigation and try to see if there’s deception there. More likely than not, when people are pinned down and asked if they faked something, most people are not good liars. So I rely more on that. Bill usually heads up the clarification of images and things like that. I focus on the human aspect. When you finally encounter someone that is faking and you pin them down, I mean you kind of need these people to do your job, they make you sharper and they help put the truth out there. Q: So are you kind of happy when you find the fakes? Are you happy when you encounter the people that are trying to pull off fake fraud because you need them? And have you examined other paranormal shows and looked at what they consider evidence? Have you made judgments based on that? Ben Hansen: That’s a really good question ... I’ve seen on blogs, I’ve read people saying you guys should investigate this show or this show, kind of funny. No, we’re not in the business of telling other people how to investigate or what to do. And as far as being happy about catching a hoaxer, I think sometimes the initial discussions I’ve had with people and the title of the show, sometimes they’re a little confused that we are just trying to evaluate hoaxes or not. And that’s not the case. When we say fact or faked, faked could also be not that they purposely faked it but that it was a phenomena that is naturally occurring that they captured. In fact ... I’m not going to throw a percentage out there but there’s a great amount of cases we’ve gone out on where I find that the witness is very credible. Even from the start I’m not out trying to prove that they faked this video. Moreso, I’m trying to find out what it was they captured on video. Does that make sense? So it’s not always was the video hoaxed or not, it’s was the situation a fake situation in that was it natural or other explanation or not. But yes, if you do find someone who’s purposely gone out of their way to try to pull the wool over your eyes and you’re able to show them that it’s not real, it is kind of satisfying because I think in the professional community of people who really give their whole professional life to investigate the paranormal, it’s disheartening. It really detracts from the real work that’s going on when someone wastes someone else’s time doing this. I love the fakes if people add a disclaimer: "Look what I was able to produce!" But that’s where the responsibility and accountability comes in so I think it is kind of fun to maybe catch someone every now and then if they really had that intention. John Brenkus: I think when you see the structure of the show we have this situation room where we sit around and discuss clips. That’s really where you find a lot of the blatant fakes ... When we go out to investigate it we have the cooperation of everybody involved with that case from the people that shot the tape to the eye witnesses to everybody. So I think that unearthing something that was intentionally faked is probably going to be the rarity because we have the cooperation of everybody involved with the case. It won’t rise to the level of being a case that we’re going to investigate if we can determine that it’s fake before we ever go out in the field. There are just too many cases out there that meet our criteria that we wouldn’t really waste our time going out into the field and investigating it if we already know that it’s fake. So the cases that wind up being the meat of the show are the ones that we feel are compelling footage with a credible eyewitness and something that is testable. Bill Murphy: Many occasions evidence of paranormal activity is recorded by accident. Somebody is out there shooting the birthday party in the backyard for example and then something happens and the camera was rolling. They capture that, so those people, they’re looking for either validation of their material or they’re looking for an explanation. So there are many times, just as curious as we are ... it’s not like a lot of people that are out there just trying to fool the team. I mean I’m sure the Internet is full of that but we do use that filtering process that John mentioned and those are kind of fun to look at but they’re easily dismissible. Q: You’re not necessarily going to set out to investigate other shows, but on the flip side, are there either shows or investigators doing things you respect? John Brenkus: Not just because it’s on Syfy, but Ghost Hunters does a great job of bringing a scientific approach to the ghost hunting world and really looking at it. 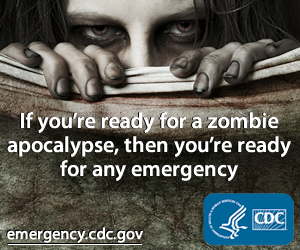 And I think Syfy is doing a great job of covering this topic in a way that an intelligent audience can really enjoy. I think they’ve been very intelligent about not just pandering to an audience and saying, "Look, this must be a ghost." They really like to explore and get into it and I think that that whole group has done some really good work. And we’re really looking to build on the success that Syfy has had and take it to the next level. Ben Hansen: For me, I just watched an excellent documentary last night, and it was on Syfy, but the one about inside the secret government warehouses. I think it was really well done. They got as far as I think they could in researching that. I like the work that George Knapp in Las Vegas has done breaking the Area 51 story and the Skinwalker Ranch - The book that he co-authored about Skinwalkers. I love reading those things because, especially in books, you have a lot more time to get in depths of the details and see their methodology and what they do. I try to build on that and I would love to be able to - we’re kind of constrained in some senses. We can’t go out for months to a location and set up an experiment. But those pioneers of the field are those that I really try to follow and respect. 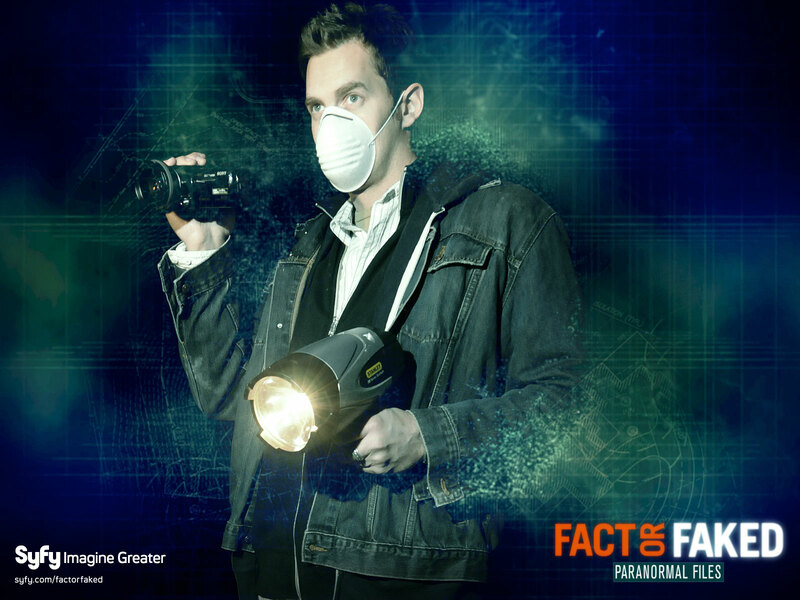 Fact or Faked: Paranormal Files airs Thursdays, 10 p.m., EST on Syfy. love this show! ITS A HIT! Great show and Jael from DT really adds that POP to the investigators. Really hope SYFY keeps this one going! While I like the show, I am extremely dubious of Ben Hansen's credentials as a "former FBI Agent." I would love to know at which field office he supposedly served, what New Agent Class he graduated from, and why he left the Bureau (if he ever worked there in ther first place!) He looks far too young to have been a former anything, except perhaps a former college student. It really bothers me that he may be a fraud, especially as he is in the business of investigating frauds.